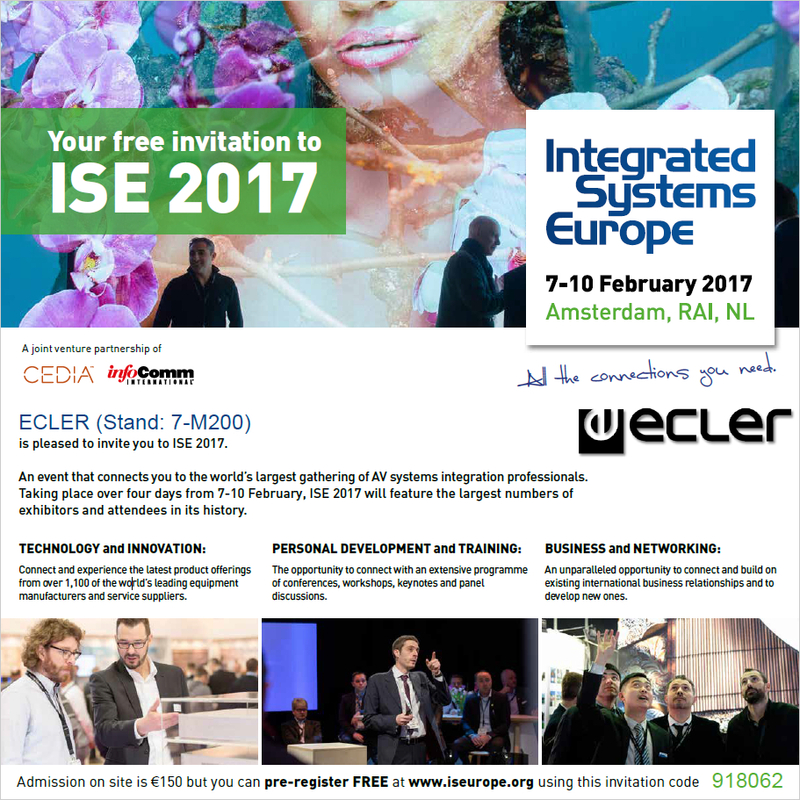 ECLER will be at ISE 2017!! We are delighted to present our new ECLER PRODUCT GUIDE 2017. This product guide is an important step ahead compared to the previous one with a new format including, new categories, a more structured, clean and easy-to-read layout, and lots of new products (most of them are yet to come!). Check it out! We take the chance to remind you that we will be exhibiting at ISE show (hall 7 - stand M200). You can use our code 918062 to get our free invitations (EN, ES, FR, GR, IT) for yourselves and your customers. Please, remember to schedule a meeting with our sales team in order to be more effective and better organized. Come see us! We have a lot of new products to show you!